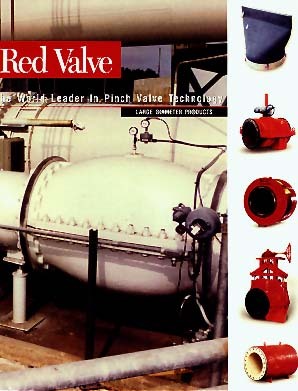 Large Diameter Product Brochure - Red Valve Company, Inc.
Red Valve Company, Inc.ve-page brochure that details how wastewater treatment plants can use large diameter products on influent and effluent discharge lines is available. Pinch and check valves can handle raw sewage, sludge and activated sludge. These two products, along with slurry knifegates, pressure sensors, and expansion joints are available in sizes up to 96-in. and more for large diameter applications.